Colombia’s capital Bogota aspires to become the main business center of music in Latin America. 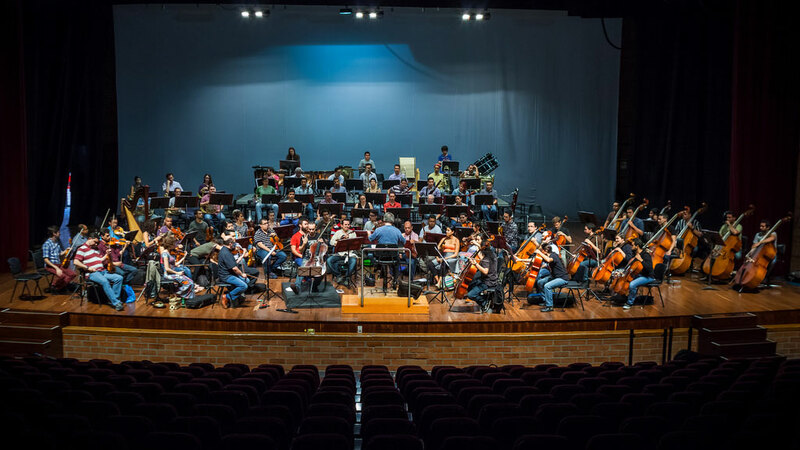 The collection of Music in Bogota will bring together companies, artists, public and private entities and schools around the culture industry and according to figures provided by the CCB, they represent 3.8% of gross domestic product (GDP) in Colombia and 8% of the world. According to the Inter-American Development Bank (IDB), “the sectors in which the value of their goods and services is based on intellectual property” make up the so-called “Orange Economy”, which in the case of Colombia equals up to $11 billion in 2011. According to the IDB, the “orange economy”, which includes music, art, design, architecture, among others, represent growth opportunities for Latin American and Caribbean economies, noting that in 2011 this sector made $174 million in profits. The directors of the CBC said that the capital has established five strategic pillars to boost the competitiveness of the cultural industry, such as research, development and innovation, promotion and marketing, regulation and human talent. “We want the actors to strengthen, grow and become more productive, not only for their sake but for the city,” added the director of the CBC. He also indicated that the city has registered more than 400 companies and artists related to this industry.